The 31st annual Natural Products Expo East, held September 21 to 24, hosted more than 1,450 brands including 450 first-time exhibitors. Many were dairy foods marketers. This was the largest show on record and grew by 10%, gathering more than 28,000 natural and organic community members to the Baltimore Convention Center in Maryland. 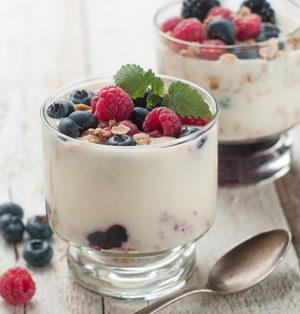 According to a Natural & Organic Trends webinar conducted this week and sponsored by market research firm Packaged Facts, there is tremendous movement in natural and organic dairy, specifically yogurt, as well as refrigerated non-dairy alternatives. Packaged Facts projects that overall natural and organic food and beverage market growth will be 12% in 2016, reaching $69 billion in sales. 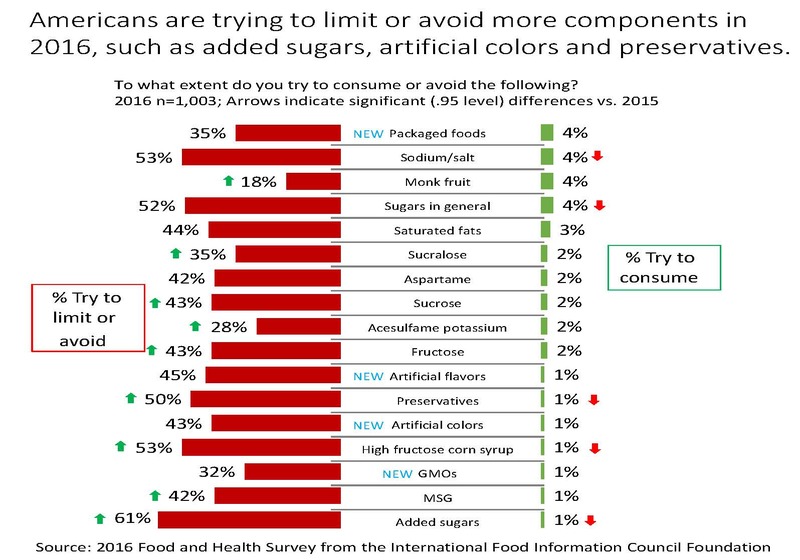 This is quite remarkable when, for the most part, the conventional food and beverage market is flat, according to Kara Nielsen, the webinar presenter. The market research firm projects that the organic and natural food and beverage market will account for 14% of total food sales by 2020, with numerous big brands overhauling conventional products and portfolios in hopes of winning over natural-leaning consumers. Replacing artificial colors with natural ones is a high priority for big brands, with most new brands never even considering artificial colors as an option. Interestingly, the retail marketplace is split between the conventional mass channel and the natural channel, with each having 44% share, according to Nielsen. Warehouse clubs have about 8% share, with the remaining 4% all other retail channels. “This is a sign of the importance of these natural and organic products for consumers shopping everywhere,” said Nielsen. 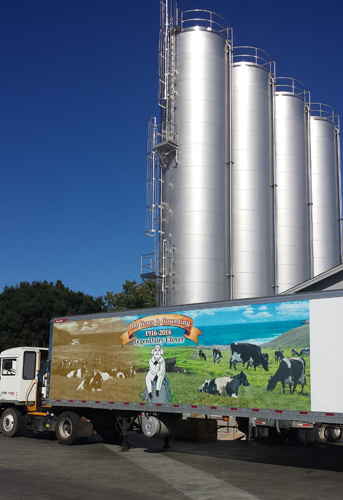 Conventional dairy processors can no longer ignore the needs and wants of the natural-leaning consumer. That’s what is happening with colors. Are you on board? All the exhibitors at Expo East are, and that includes small and large dairies, as well as manufacturers of dairy alternatives. The time is now to make the change. 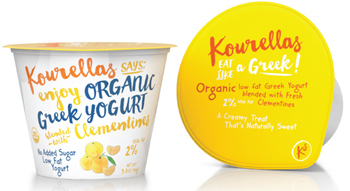 As Nielsen said, yogurt, and similar cultured dairy products, are a major driver of the growth that the natural and organic food sector is experiencing. The fact is, today’s consumers are seeking out natural colors in their foods and beverages. According to the 2016 Food and Health Survey from the International Food Information Council Foundation, 43% of respondents indicated they are trying to avoid artificial colors. This was the first year the survey queried about artificial colors, and a remarkable number of respondents made it clear: they prefer to not have artificial colors in their foods and beverages. Innovations were plentiful at Expo East. 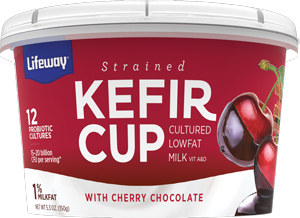 One of the big stars of the show was Lifeway Foods, which debuted conventional and organic strained kefir cups. Both lines include a natural, unsweetened option, as well as six dual-compartment cups that include a side of fruit, honey or gluten-free granola. The fruit varieties requiring a little extra color boost all get it from fruit and vegetable juice concentrates. Both the conventional and organic lines include the same plain, unsweetened strained kefir that goes into the Naturale offering. The kefir contains the company’s proprietary blend of 12 probiotic cultures, with each 5.3-ounce serving delivering 15 to 20 billion colony-forming-units. 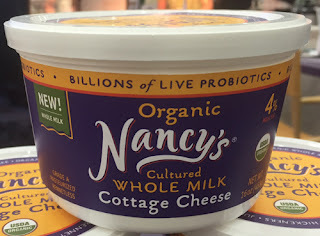 The product is produced in small batches using milk from cows not treated with antibiotics or artificial growth hormones and is fortified with vitamins A and D.
Blueberry Lavender and Strawberry Rosehip are in both lines. Conventional also has Cherry & Chocolate Chunks and Mango Passionfruit; organic has Orange Vanilla and Raspberry & Chocolate Chunks. Each cup contains 100 to 120 calories, 3.5 to 5 grams of fat, 10 to 12 grams of protein and 5 to 11 grams of sugar, depending on variety. The company also introduced plain and flavored farmer cheese in individually portioned cups. Farmer cheese is a dry-curd cultured dairy product. 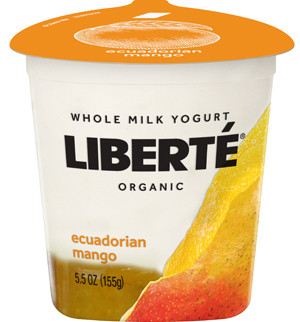 This product line is made in small batches and comes in single-serve 6-ounce cups. There are six varieties. They are: Apricot, Blueberry Lavender, Cherry, Plain, Plum and Strawberry Rosehip. 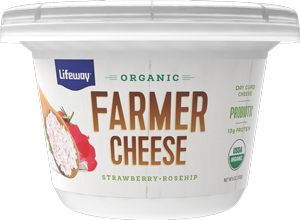 Similar to the strained kefir, the farmer cheese line comes loaded with the company’s proprietary blend of 12 probiotic cultures and the fruited varieties get a color boost from fruit and vegetable juice concentrates. The fruited varieties all contain 230 calories, 7 grams of fat and 13 grams of protein. 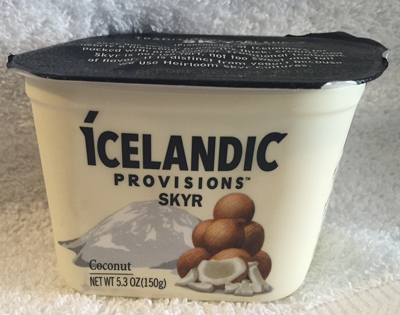 Plain contains 210 calories, 8 grams of fat and 16 grams of protein. In general, dairy products, which are refrigerated or frozen, are usually protected from light, allowing for a wide range of natural colors to be used since heat and light stability are not an issue. The main stability considerations for choosing a natural color in dairy are pH, heat from pasteurization and added flavors. Since the pH of milk is about pH 6.8, natural color sources such as beta-carotene, annatto, beet and turmeric work well and provide a wide variety of color options in the yellow to orange and pink to red hue range for milk beverages and ice creams. 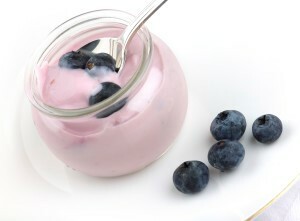 As cultures are introduced for yogurt and similar cultured-dairy products, such as kefir, the pH is lower, opening the door to fruit or vegetable-based anthocyanins including elderberry, black/purple carrot, purple sweet potato, red radish and red cabbage, which provide a purple-red hue at pH 4.0. In Greek yogurt, developers have formulated black carrot in strawberry, cherry and pomegranate flavors; turmeric in lemon, pineapple and lime flavors; and annatto in peach and mango yogurt. Such natural colors are what consumers want! The term color additive is legally defined in the U.S. in Title 21, Part 70 of the Code of Federal Regulations (21 CFR 70). Basically, any ingredient with the sole purpose of adding color to a food or beverage is a color additive, with all color additives requiring approval by FDA as a food additive. Synthetic food colors are classified by FDA as color additives subject to certification (21 CFR 74). They are certified with an FD&C number. This indicates that the additive has been tested for safety and is approved for used in foods, drugs and cosmetics, or FD&C. Seven colors were initially approved under the Pure Food and Drug Act of 1906. Over time, several have been delisted and replaced. Today there are still seven, which can be combined into an infinite number of colors; hence, the seven are considered primary colors. 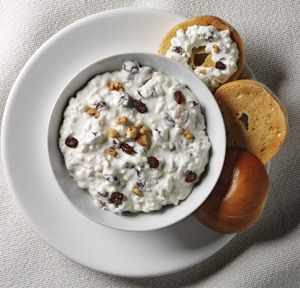 Here are 10 reasons why dairy processors should include dairy proteins in product formulations. Numerous surveys show that consumers are trying to increase their protein intake, as they understand protein satiates and builds muscle. According to the 2016 Food and Health Survey from the International Food Information Council Foundation, 64% of Americans are seeking out protein in the diet, a statistically significant increase compared to 2015. 2. Dairy proteins are high-quality, complete proteins. Not all proteins are created equal. Consumers are starting to understand that dairy proteins offer benefits that make them a higher-quality option than plant proteins. 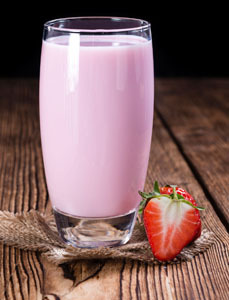 Dairy proteins have long been the protein of choice among athletes and frequent gym-goers. There are two types of high-quality dairy protein ingredient options: whey proteins and milk proteins. Both are high-quality, complete proteins that contain all of the essential and nonessential amino acids the body needs. The difference lies in the dominant protein found in each one. With most milk protein ingredients, such as milk protein concentrates and milk protein isolates, casein is the dominant protein. The typical composition of these ingredients reflects what you find in cows milk, which is about 80% casein and 20% whey protein. 3. Dairy proteins are versatile. 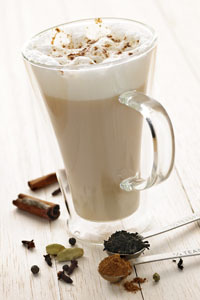 They have a neutral, bland taste that complements most foods and beverages. They readily dissolve in systems, with some proteins contributing creamy, dairy-rich whiteness, while others becoming invisible. To read a Food Business News article titled “Functional dairy foods—beyond basic nutrition,” link HERE. The article discusses the opportunities in boosting the protein content of dairy foods, along with adding other functional ingredients. 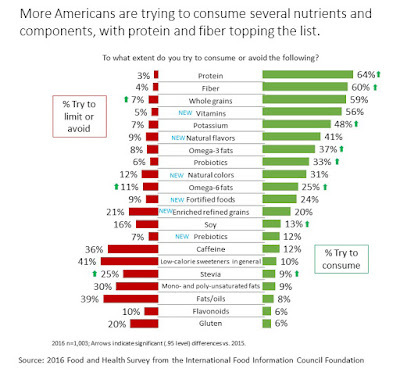 The IFIC survey shows that Americans want to know more about their food and are changing their behaviors based on what they learn. This year, almost half of all American (47%) said they look at the ingredients list when deciding what to purchase, up from 40% just a year ago. The U.S. Dairy Export Council offers a technical report titled “Dairy Solutions for Clean-Label applications.” You can view it HERE. Some dairy proteins assist with water binding. Thus, they can stabilize food systems, such as cheese spreads, cultured dairy products and ice cream, while also increasing protein content. Whenever possible, it makes sense to put dairy back into dairy, instead of using carbohydrate-based hydrocolloids. 6. Dairy proteins can assist with weight management. An improved understanding of appetite regulation mechanisms has enabled formulators to develop food products that help consumers feel full and satisfied, which in turn helps them eat less and ultimately lose weight, and then maintain weight. According to “Optimizing foods for satiety” in the February 2015 issue of Trends in Food Science & Technology, a food’s satiating power is dependent not only on its nutrient composition but also the consumer’s sensory and cognitive appraisal of the food. The review concluded that numerous features of a food product can be manipulated to enhance the consumer’s experience of satiety, with the combination of these features ultimately determining the effect on appetite control. Taking this integrated approach to satiety will optimize the development of high-satiety foods, with dairy foods well poised as satiety-inducing foods. Biochemically speaking, satiety is all about signals that feed into specific areas of the brain in response to the expansion of the stomach. Hormonal signals are also released in response to the digestion and absorption of certain nutrients. According to research from Nizo Food Research, The Netherlands, foods behave differently in the stomach, depending on their structure. This behavior impacts stomach volume and the rate at which the stomach releases nutrients to the small intestine for absorption, both important physiological parameters by which the body estimates the time to stop eating. With protein, research shows that not only does this macronutrient exert appetite regulation mechanisms, consumption is also correlated to lean muscle building and maintenance. 7. They build lean muscle mass. 8. They optimize athletic performance. According to Donald Layman, professor emeritus of nutrition at the University of Illinois at Urbana-Champaign, data indicates all humans need about the same amount of dietary protein every day for basic lean muscle repair and remodeling. To reap other benefits—those for optimum performance—one must consider the quality of the protein and the quantity of the protein at every meal, in particular breakfast. Simply, data suggests that every meal should include 30 grams of high-quality protein, including protein that is high in the branched-chain amino acid leucine. This is the amount of protein for the body to function at its best. Of all the protein ingredients available to food and beverage manufacturers, whey protein isolate contains the most leucine: 11%. Milk protein concentrate comes in second at 9.5%, followed by egg protein at 8.8%. 9. 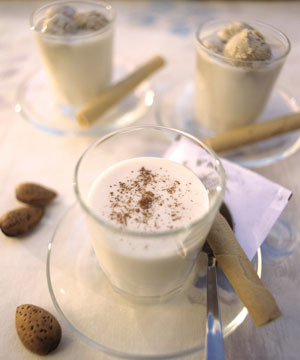 Dairy proteins assist with increasing strength and physical function in older age. Research shows that older people tend to consume less protein due to decreased appetite or digestive and metabolic change. Lack of high-quality protein—protein that contains all the essential amino acids—is a factor contributing to loss of muscle mass. This in turn contributes to a decline in health and loss of strength and physical function. Consuming a moderate amount of high-quality protein at each meal can also be a useful strategy to help maintain muscle mass and to help protect against the debilitating effects of sarcopenia, the age-related progressive loss of muscle mass and function that can begin as early as age 40. For more information, link HERE. 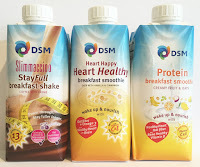 All types of foods and beverages are being formulated with dairy proteins. You can find them in cereals, chips, cookies, crackers, noodles, soups, sauces and even veggie burgers. Put them back into dairy and brag about them. Every day we hear and read about Millennials, and increasingly, their successors, Gen Z. We get it! These two populations are changing the food landscape and we, the dairy industry, need to change with it. But let’s not forget the Baby Boomers. Many of them have dollars and want to spend them on defying the aging process, inside and out. Even those who are retired and living on fixed incomes still want to live long and live well. According to a September 2015 report by the U.S. Bureau of Labor, a majority of consumer spending is done by people more than 50 years old. Yet, something has gone awry, as the 50-plus demographic is the target for only 10% of marketing activity. On the other hand, marketers spend five times as much money marketing to Millennials, the obsession of most every marketer on the planet, according to the Natural Marketing Institute. I’m over the fact that almost no one bats an eyelash at my generation—the X’ers—even though we are getting up there in age and are seeking out secrets to longevity and vitality, much like the Baby Boomers. But here’s something marketers need to realize: Gen X’ers and Boomers uphold traditions, such as New Year’s resolutions. Now’s the time for dairy-based beverage manufacturers to get creative and offer these consumers the health and wellness products they want. According to new insights from The International Food Information Council (IFIC) Foundation’s 2016 Food and Health Survey, perceptions of the healthfulness of certain foods vary dramatically between generations, especially Boomers versus Millennials. Boomers are more likely than Millennials to rate whole grains (80% vs. 70%), protein from plant sources (75% vs. 63%) and omega-3 fatty acids (71% vs. 59%) as healthy. Boomers are also looking for different health benefits from their food compared to other generations, particularly Millennials. Boomers are more likely than Millennials to be interested in health benefits associated with foods such as weight management, cardiovascular health and digestive health. Millennials are more likely to be interested in benefits such as mental health, muscle health and immunity associated with foods. These findings confirm what most of us in the food industry have known for a long time: diet is not a one size fits all. This is especially apparent across the generations. Take note, Boomers have a distinct definition of a healthy-eating style compared to other generations. Boomers (32%) are more likely than the general population (22%) to define a healthy-eating style by moderation/serving size and portions. Additionally, Boomers (30%) are more likely than Millennials (17%) to define a healthy-eating style as including certain foods they define as healthy. This includes dairy! 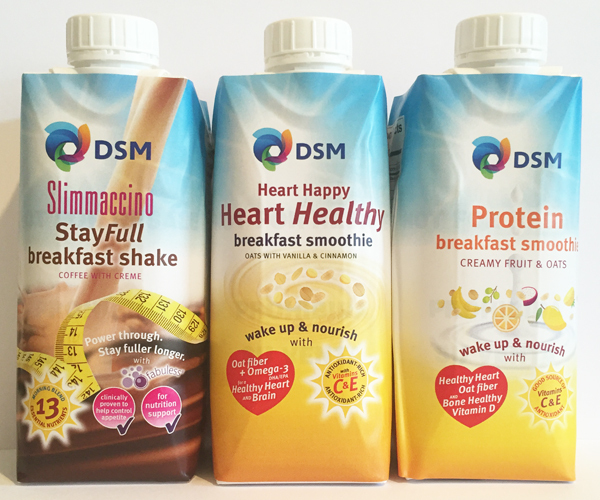 Dairy-based beverages are easily portioned in single-serve containers and readily formulated using a toolbox of functional ingredients to assist with weight management, cardiovascular health and digestive health. Think protein, fiber, omega-3 fatty acids, probiotics and more. 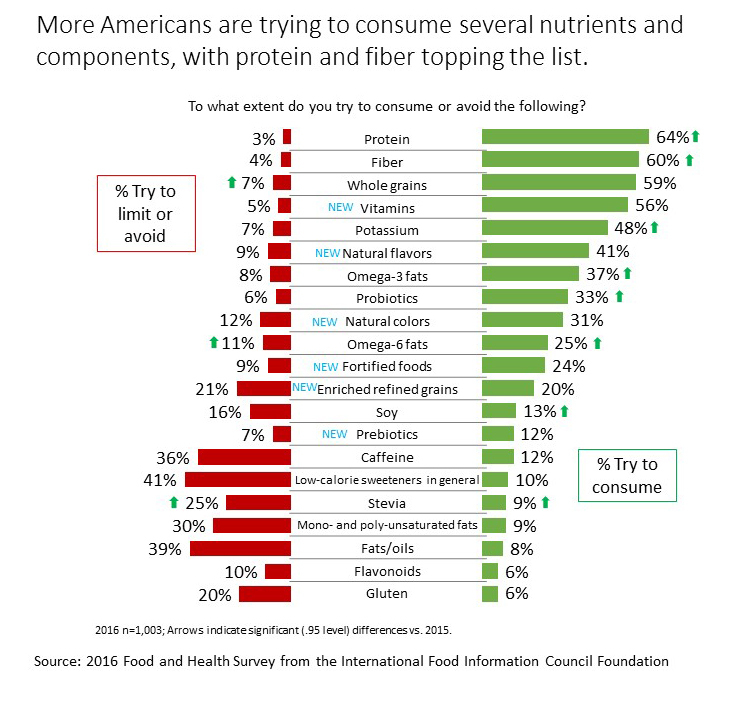 And don’t even think twice about the IFIC stat showing that Boomers appreciate protein from plant sources. They simply appreciate and welcome extra protein. After all, research shows that historically there’s a decline with intake of all types of protein with aging. This is due to decreased appetite or digestive and metabolic change. Boomers (and X’ers) are looking for innovative and delicious ways to get more protein in the diet. Why? Because lack of high-quality protein—protein that contains all the essential amino acids—is a factor contributing to loss of muscle mass and in turn a decline in health and loss of strength and physical function. Consuming a moderate amount of high-quality protein at each meal can also be a useful strategy to help maintain muscle mass and to help protect against the debilitating effects of sarcopenia, the age-related progressive loss of muscle mass and function that can begin as early as age 40. Take note: ignoring Baby Boomers (and those of us just a little younger) could manifest itself in missed opportunities. 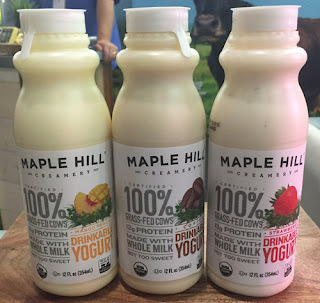 Here’s a dairy in Singapore that gets it! Magnolia, an almost 80-year old dairy, markets fresh milk products that speak to the needs of the older population. Singapore reigns as the country with the third oldest life expectancy: 83.1 years; for women, Singapore ranks second at 86.1 years; for men, the country ranks 10 at 80 years. 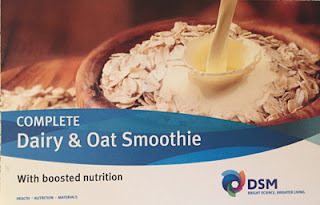 The dairy’s newest product is Oats Lo-Fat Hi-Cal Milk, which is based on fresh milk and oats, with less than half the fat but 67% more calcium than regular milk. 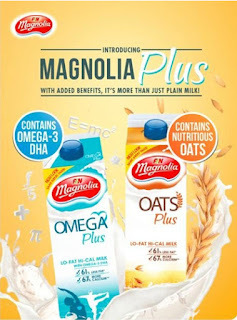 There’s also Omega Lo-Fat Hi-Cal Milk, which is fresh milk enhanced with omega-3 DHA, vitamin D and calcium. Dairy-based beverages, with a boost of omega-3 fatty acids, vitamin D, oat beta-glucan and other nutrients, can help mitigate the age-related loss of muscle faced by today’s senior population. Check out this VIDEO. Make Boomers (and Gen X’ers) a priority for 2017.